Aluminum Side Sliding Window Pet Door – Perfect For Mobile Home, Lanai and RV – FREE SHIPPING! E-Z Pass Electronic Pet Door — FREE SHIPPING! Ideal Pet Vinyl Modular Pet Patio Door "Great For Balconies" – FREE SHIPPING! Perfect Pet by Ideal Aluminum "Fast Fit" Pet Patio Doors - Available in 3 Adjustable Height Options – FREE SHIPPING! Perfect Pet by Ideal Aluminum Modular Pet Patio Doors "Great For Balconies" – FREE SHIPPING! Perfect Pet by Ideal Aluminum Sash Window Pet Door – FREE SHIPPING! Perfect Pet by Ideal Cat Flap – FREE SHIPPING! Perfect Pet by Ideal Deluxe Aluminum Pet Door™ – FREE SHIPPING! 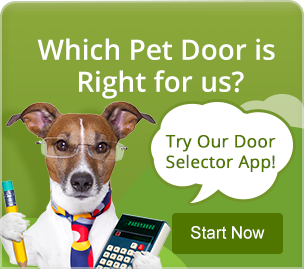 Perfect Pet by Ideal Premium Draft-Stopper™ Pet Door – FREE SHIPPING! Perfect Pet by Ideal Screen Fit™ Pet Door – FREE SHIPPING! Perfect Pet by Ideal Screen Guard Pet Door – FREE SHIPPING! Perfect Pet by Ideal TubbyKat™ Large Cat Door - FREE SHIPPING! Perfect Pet by Ideal VIP Vinyl Pet Patio Door with Dual Pane Glass— FREE SHIPPING! Perfect Pet by Ideal VPP Vinyl Pet Patio Door with Single Pane Glass — FREE SHIPPING! Perfect Pet by Ideal VPPA Vinyl Pet Patio Door with Single Pane Glass — FREE SHIPPING! Pet Passage Door for Screen Doors – FREE SHIPPING! WHILE SUPPLIES LAST! Vinyl Sash Window Pet Doors For 24" or 36" Vinyl Windows Only – FREE SHIPPING! 900 Series™ 80" Standard "Double Flap" Dual Pane Glass Pet Patio Door-Mill — FREE SHIPPING! WHILE SUPPLIES LAST!!! 900 Series™ 96" Tall "Double Flap" Dual Pane Glass Pet Patio Door-Small-White — FREE SHIPPING! While Supplies Last!!! Bronze Aluminum Patio Door — FREE SHIPPING!